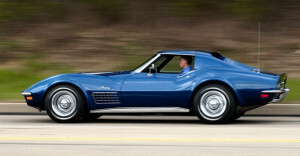 Well, I started off with a 1975 Corvette, now I have a hybrid 75-80 Vette. I know people must be shaking their heads, but I wanted to rebuild something unique, and something that I would absolutely love to drive for years to come. So, having said that, I want to explain the process of restoration as I see it. Sure, you can find just about everything for a late model Corvette just about anywhere online, but I wanted to restore the car with as many original parts as possible. Heck in Miami, there are even many other places that will work the fiberglass on a Corvette to do just about anything that you would want. I did not want to go that route, but it is always a good safety blanket to have.